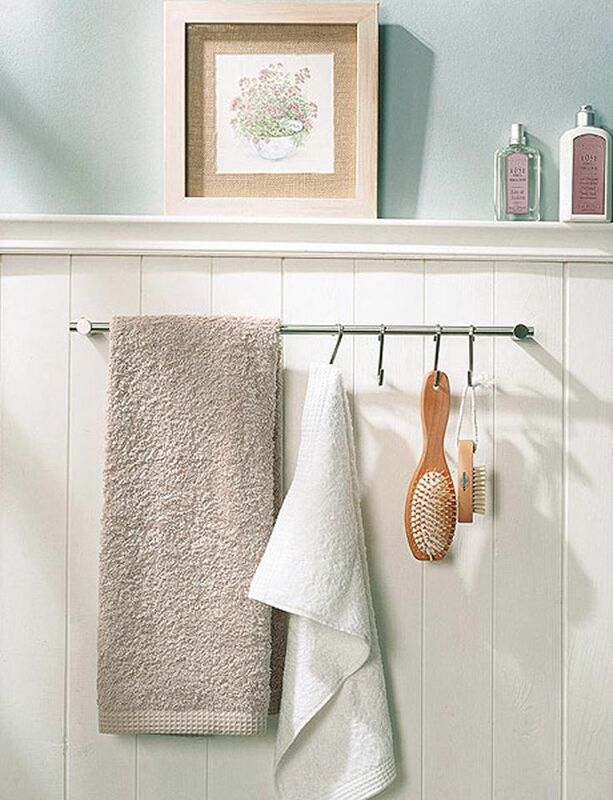 Given the various activities taking place in the bathroom like changing dirty clothing, it is very easy for clutter to take over the bedroom without even one realizing. 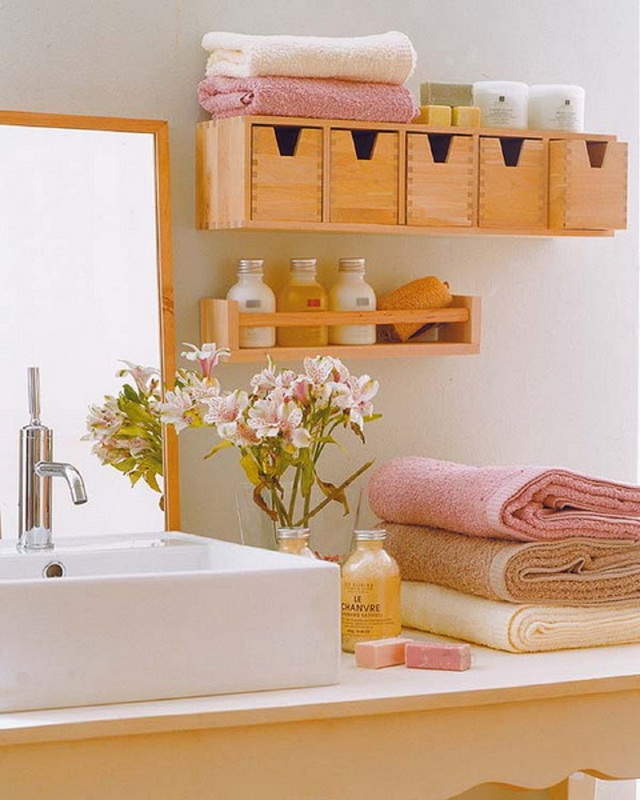 Use of decorative storage items with drawers in the bathroom helps in reducing the clutter resulting into an organised bedroom. 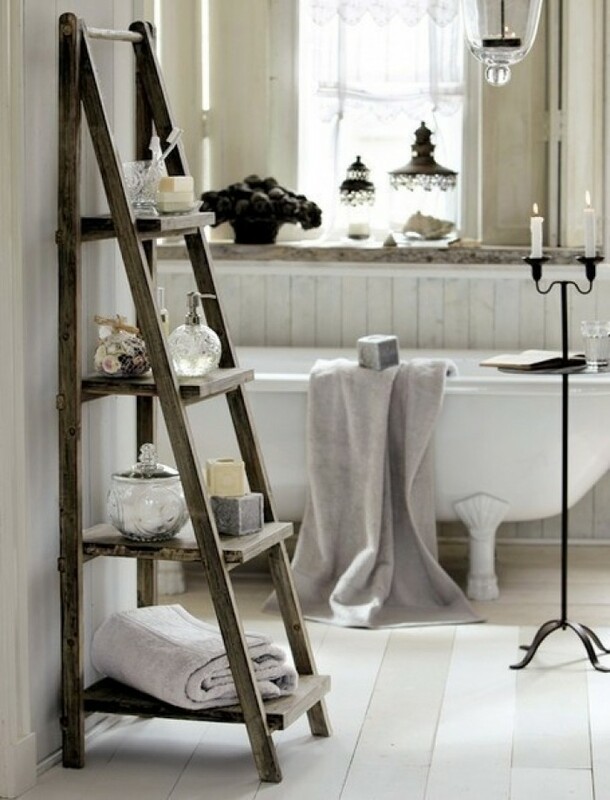 The ideas shared here helps in equipping you with insight on stylish bathroom storage ideas that enable you to combine high-end style with functionality. 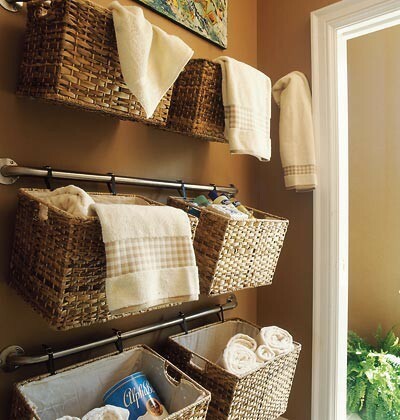 Wicker baskets which you can purchase in just about any home improvement store or décor place for a fairly affordable price makes for some amazing storage options. 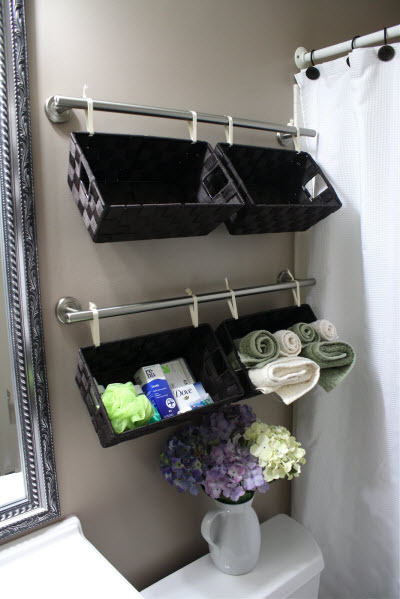 You can get a few different size boxes and then stack them nicely to create a beautiful design and then put a variety of things into those boxes, depending on their sizes. 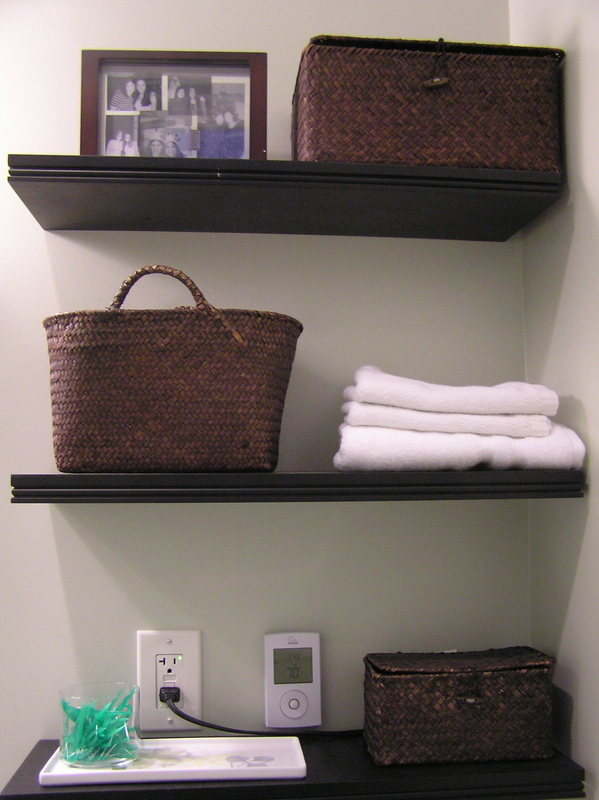 This can include toiletries, small towels, toilet paper and other things. 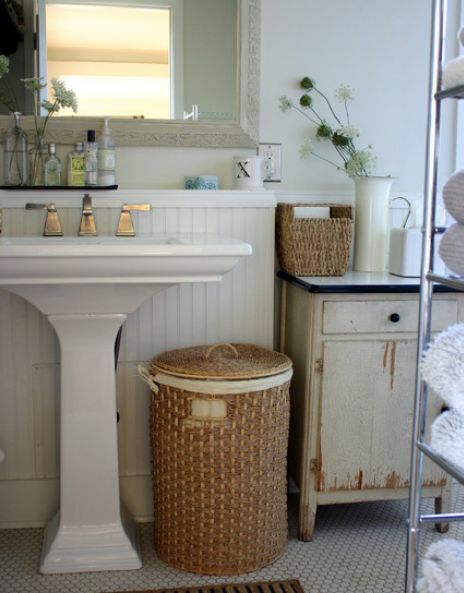 Wicker baskets look best in rooms with other wooden accents and more neutral colors, but you can always get colored wicker baskets to match whatever your room’s appearance happens to be. It’s affordable, highly flexible and very organic storage! 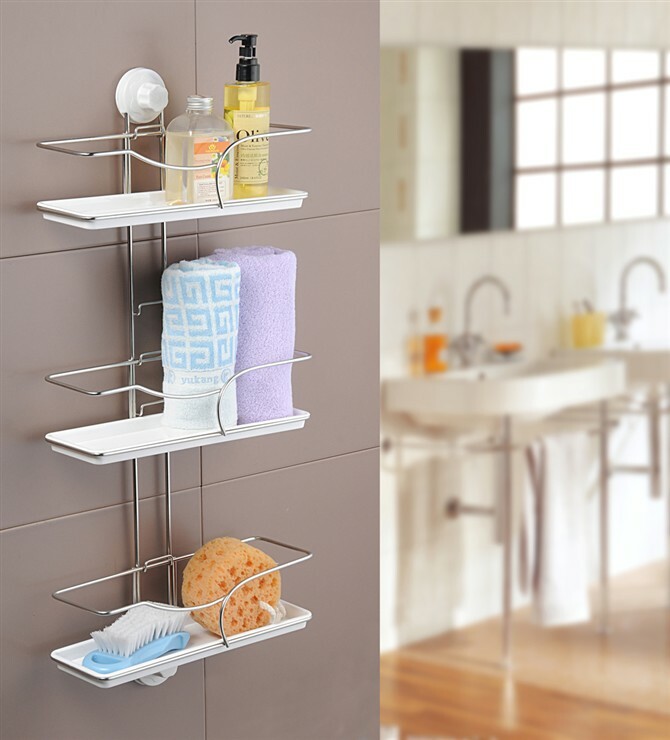 A small hanging shelf with different ‘levels’ in it like a bookshelf. Make sure it will fit on your wall! 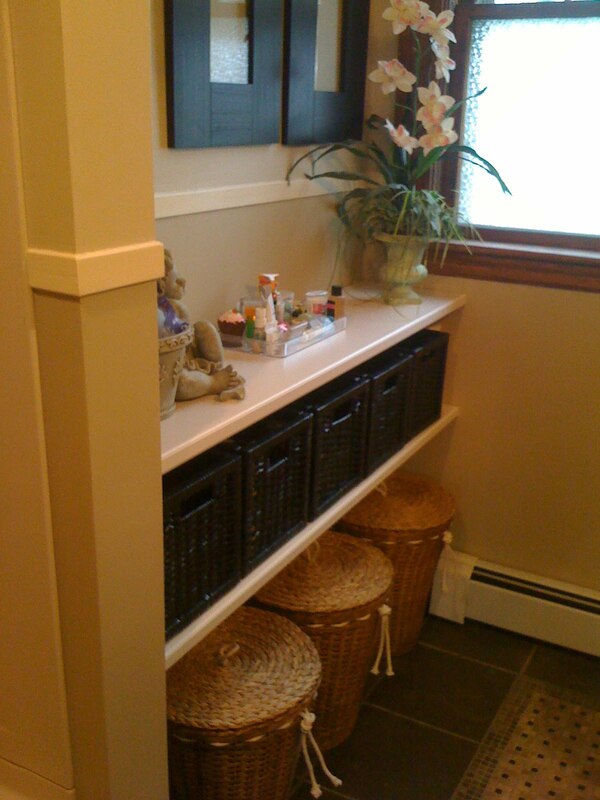 Crate shelving where you purchase small crates from a craft shop, decorate them and then hang them and store things inside. 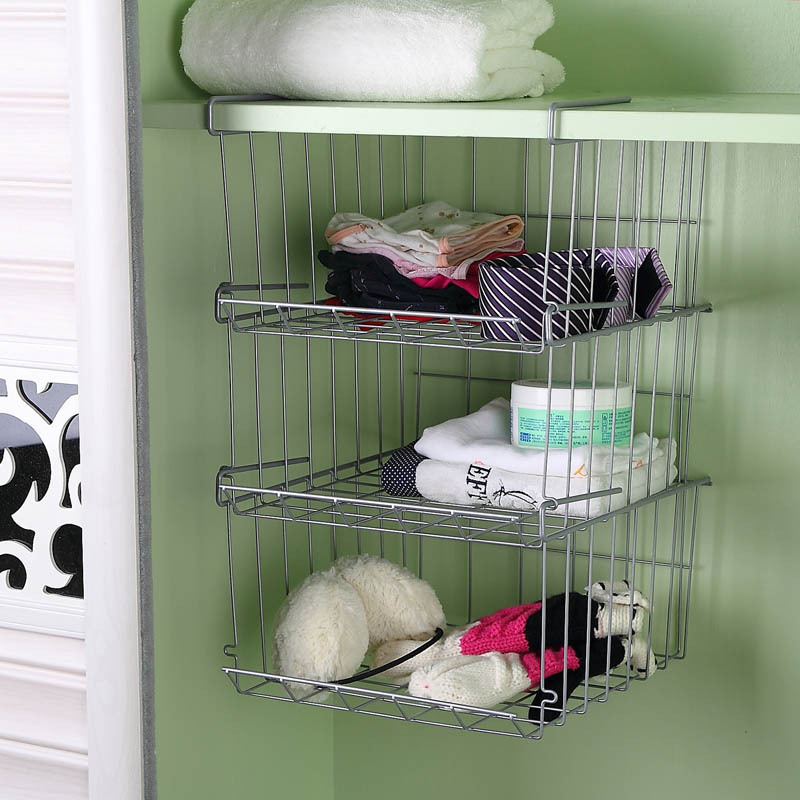 Organizers: hanging organizers like spice racks or hanging baskets off the door or in the closet door can be used to hold things like lotions or other toiletries and keep them from cluttering up precious countertop space. 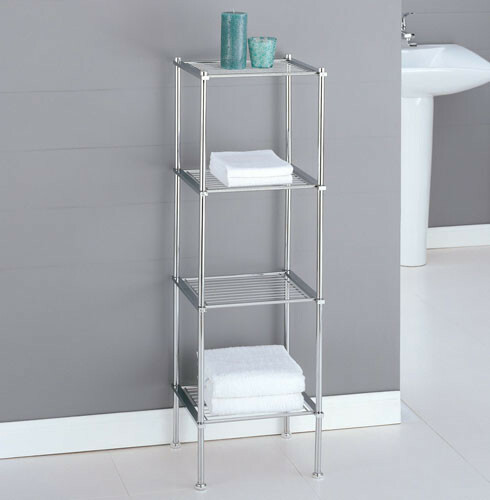 Again, make sure to measure out you wall space before you purchase anything so that you can ensure that your shelving will actually fit properly. Stuck for space? 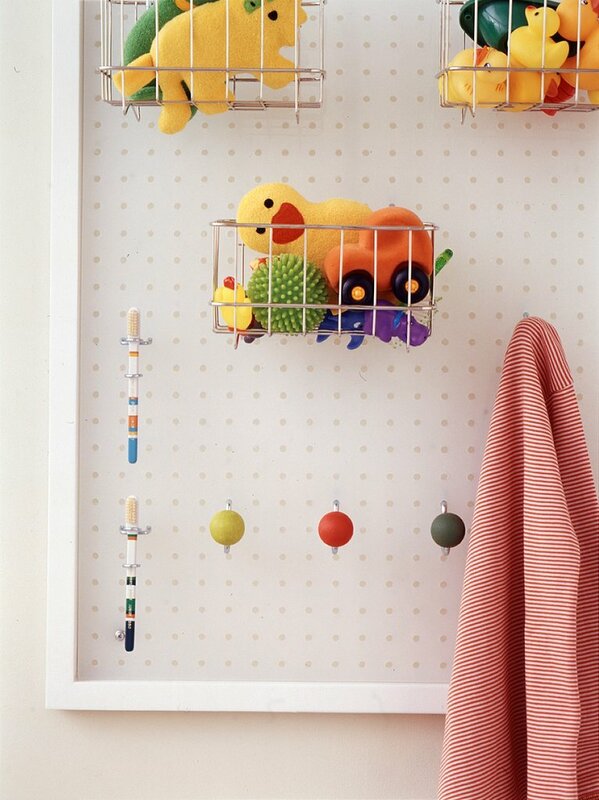 Doing things like installing small pegs to hang up things and installing a small ledge/shelf under your mirror or around other parts of the wall can maximize your space and give you extra space to put things like soap or bottles. 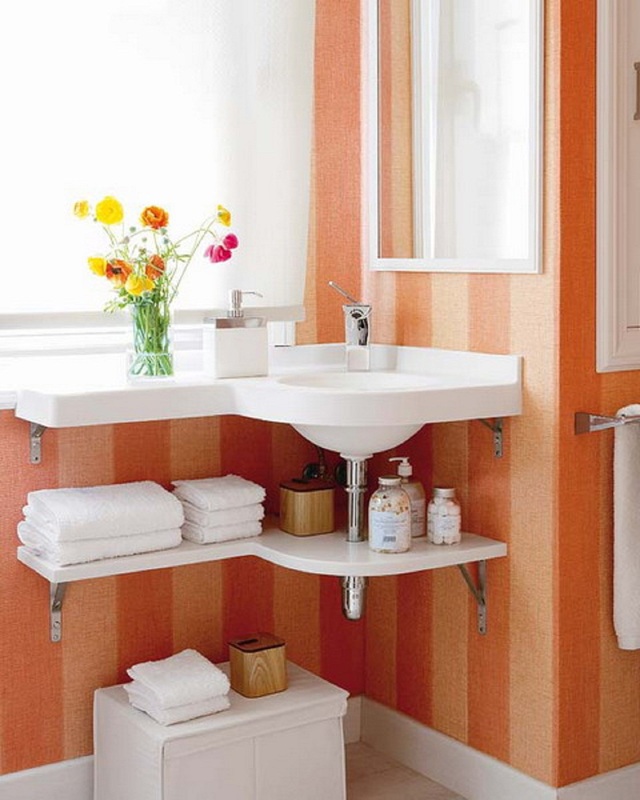 It makes for a very pretty design and gives you space where you need it. 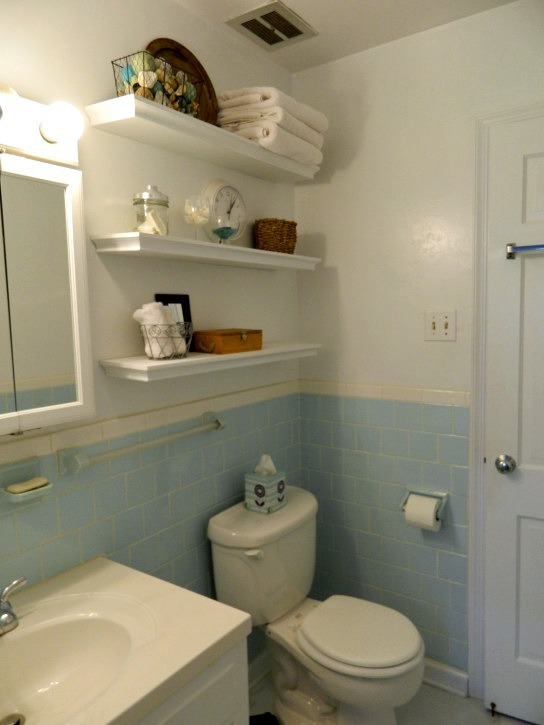 Oh sure, that small vanity is supposed to be used in the bedroom and sure that stepladder should be used to reach places, but why bother with convention? 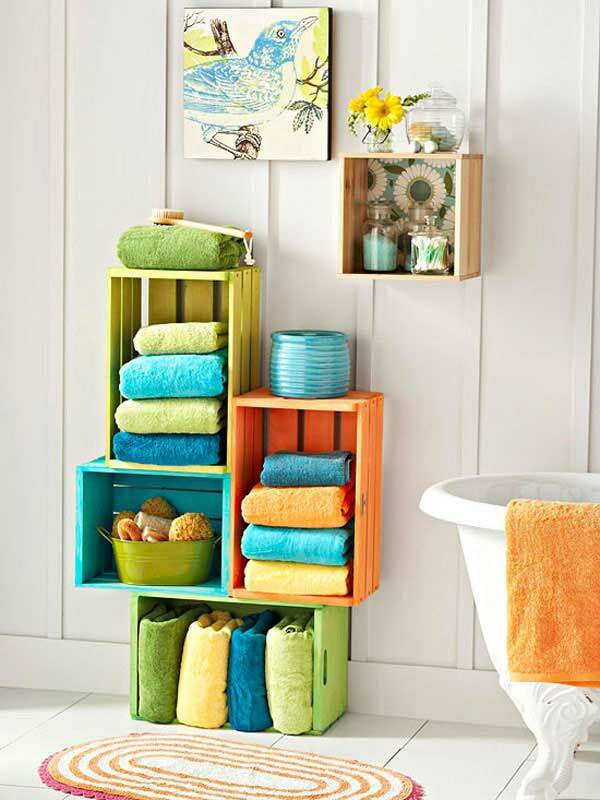 You can always repurpose other things to add more storage options to your bathroom. 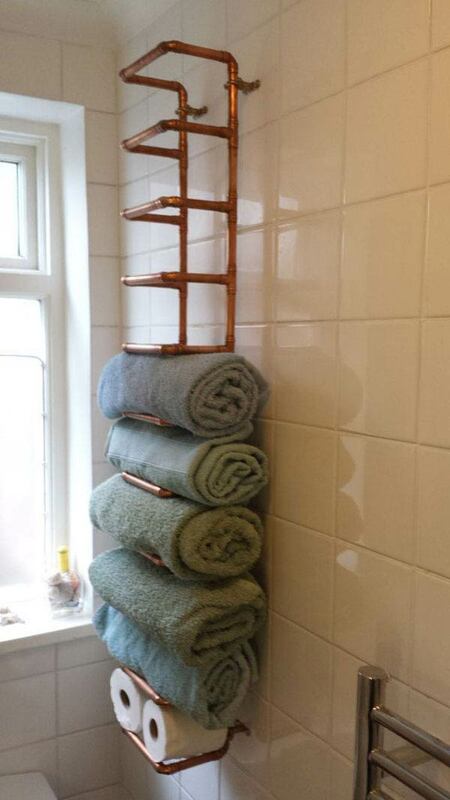 For example a stepladder-repainted-can make a great towel rack. 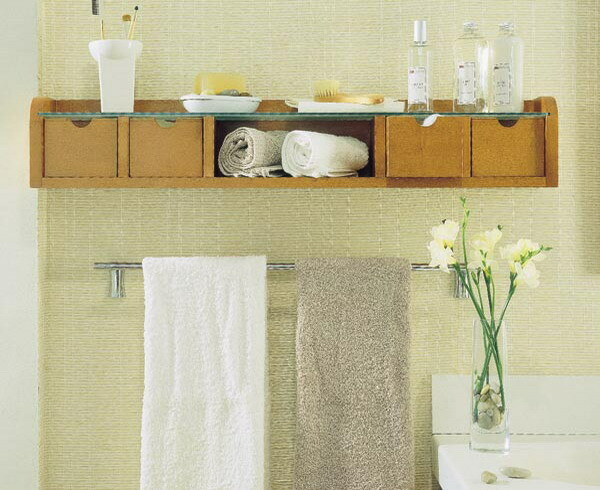 That small bedside table can be used to hold toiletries. 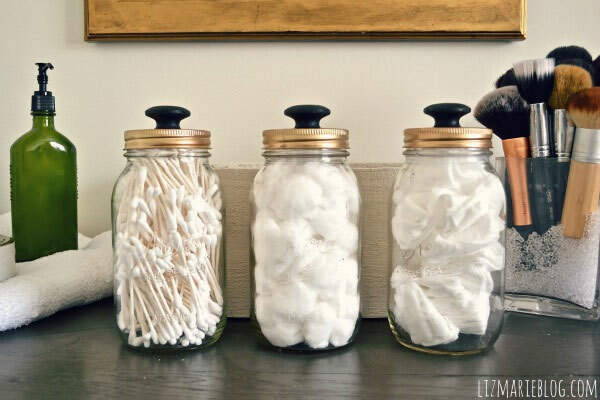 And if you can fit it, something like a china cabinet is a great place to store all kinds of things, from rolled towels to jars of soaps and lotions, all in one central location. 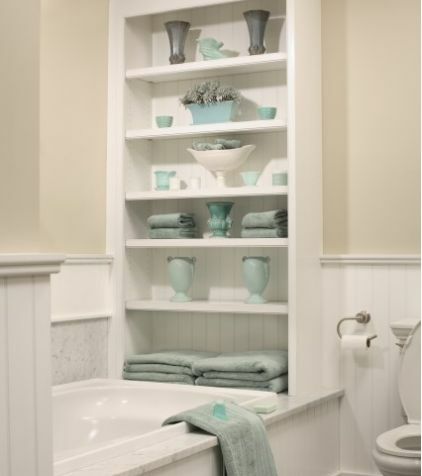 Think outside the box a little when it comes to adding storage options to your bathroom and you’ll have a unique piece of furniture in a room that many people overlook! 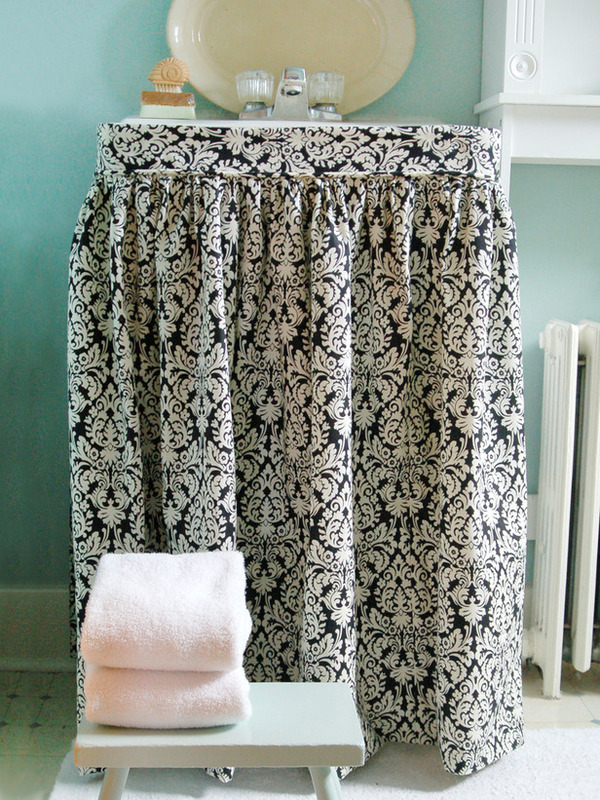 A cloth ‘skirt’ is a great way to turn a pedestal sink into something useful for storage and to keep things hidden from the general eye. 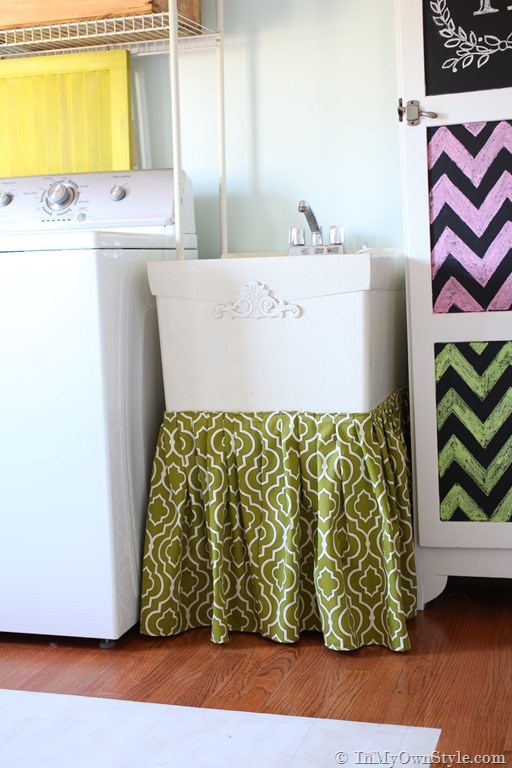 This is easy to do: simple attach a colorful or patterned ‘shower skirt’ to your sink and then you can do things like wicker baskets or small tubs under the sink and behind the skirts so that your things are kept private. 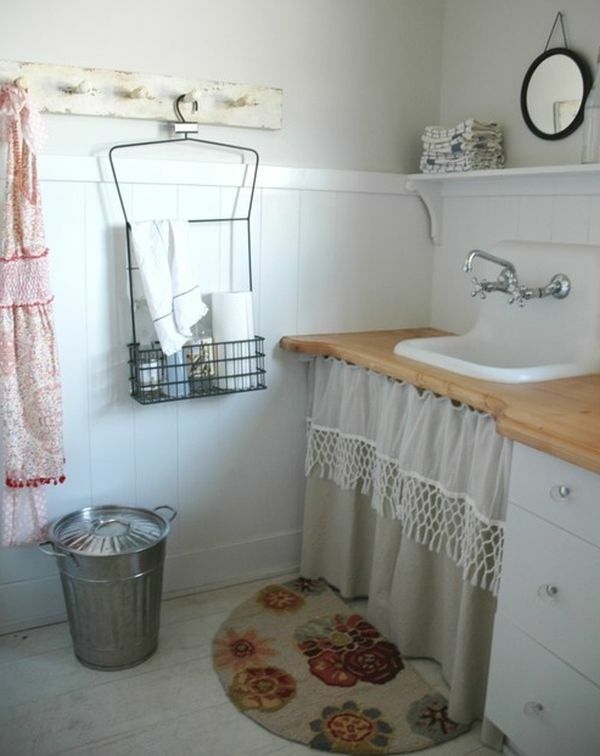 Just make sure that you can actually do things like attach the skirt to your sink and it won’t simply keep falling over! 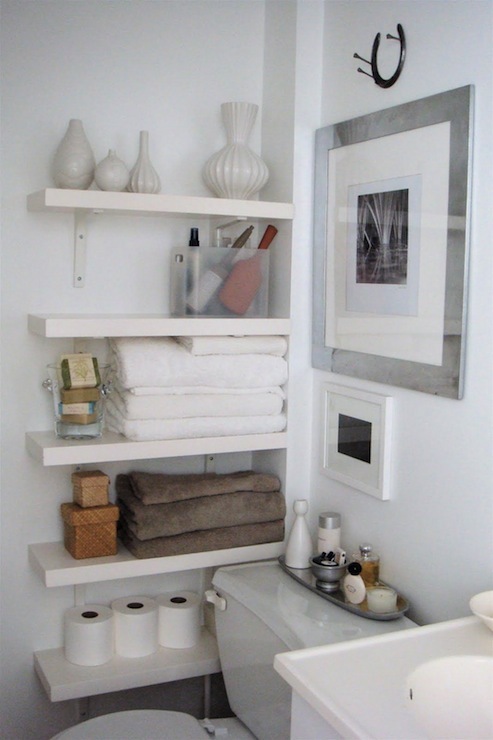 You can create stacked shelving either by getting a tall, narrow shelving unit or by cutting it out of the bathroom wall as a DIY project. 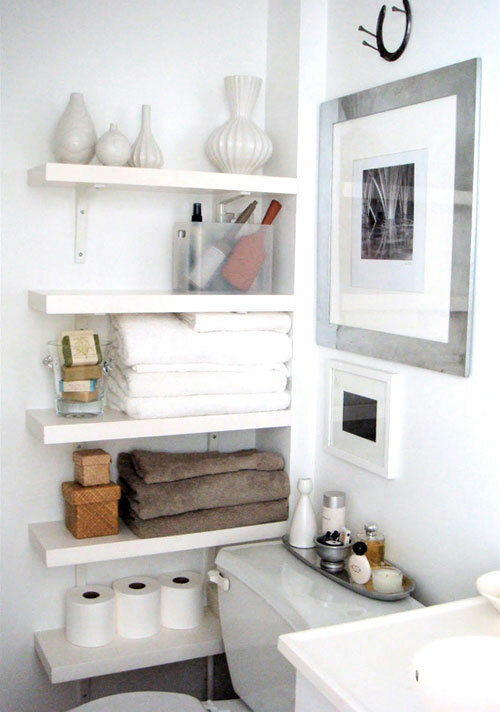 No matter how you do it, stacked shelving provides some great storage space. 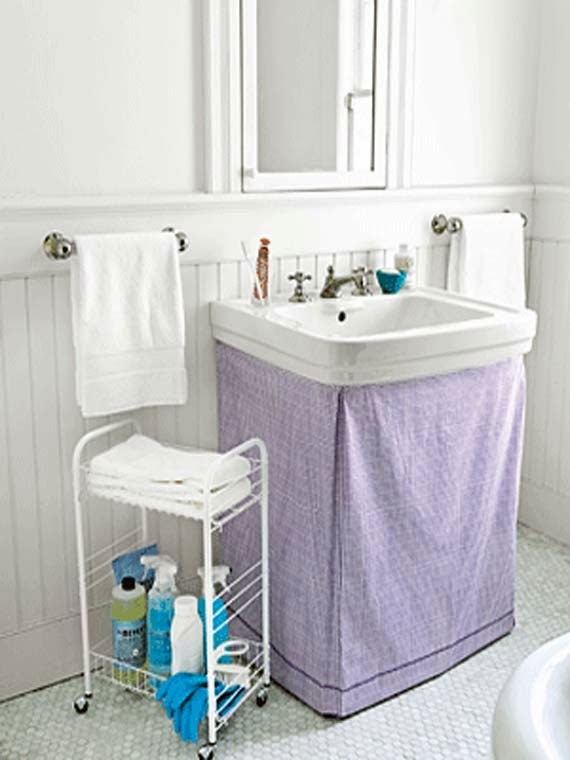 You can do things like store rolled towels in them, store toilet paper and keep cleaning supplies out of the reach of children and animals. 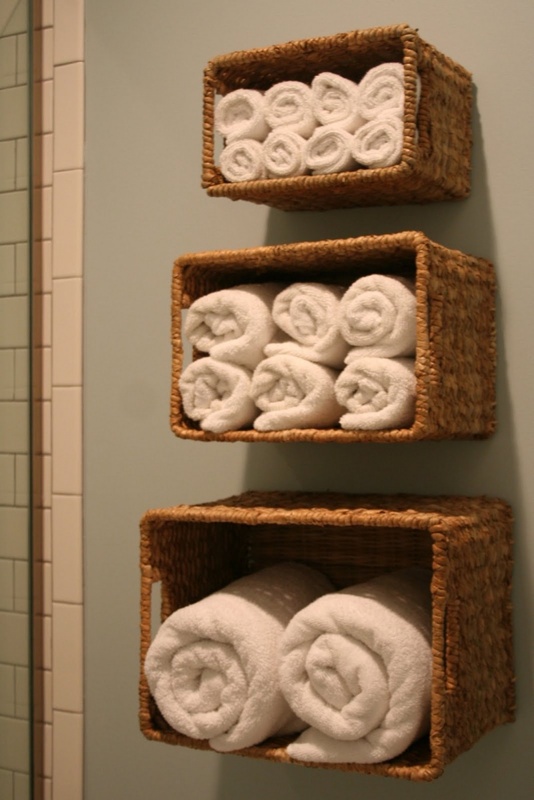 If you create you own stacked shelving, you can even make the shelves any shape you like: rounder for rolled towels, square for other goods or whatever else you like in order to create a dynamic and unique storage space that can fit in any size bathroom. 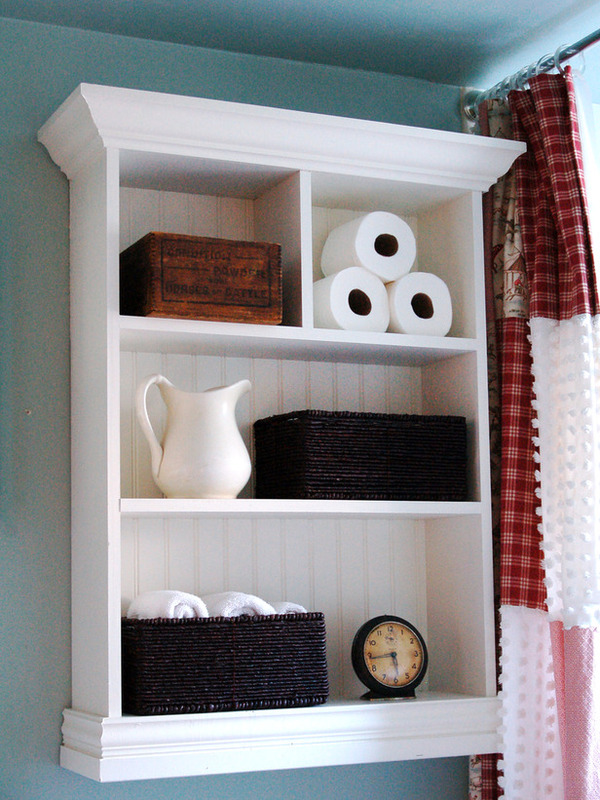 If you enjoy DIY projects or you have buddies who enjoy them and you have an oddly shaped bathroom, you may want to create some custom storage. 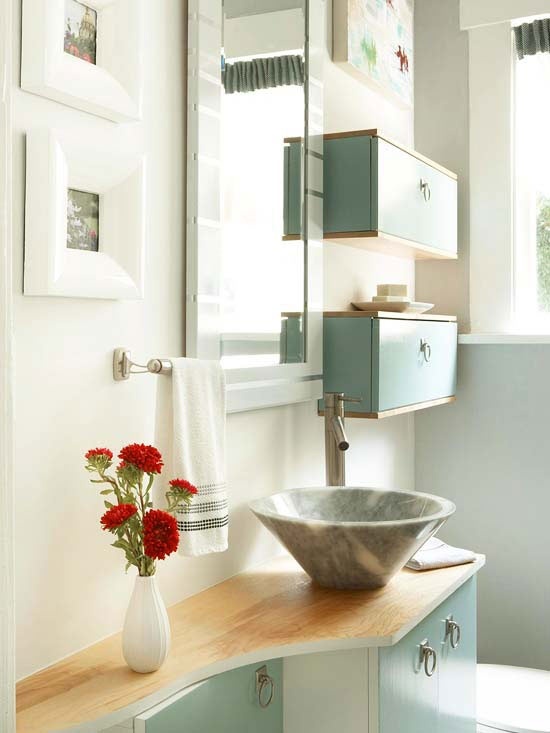 This could include things like wrap-around cabinets or more ledges or ceiling to floor cabinets or whatever else you can dream up. 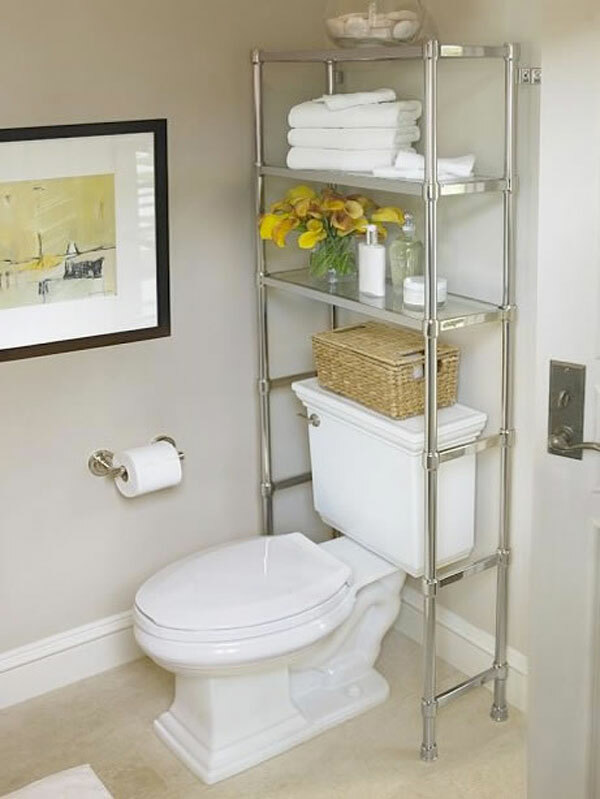 After all, plenty of bathrooms aren’t going to be perfect boxes and that means you really get to think outside the box. 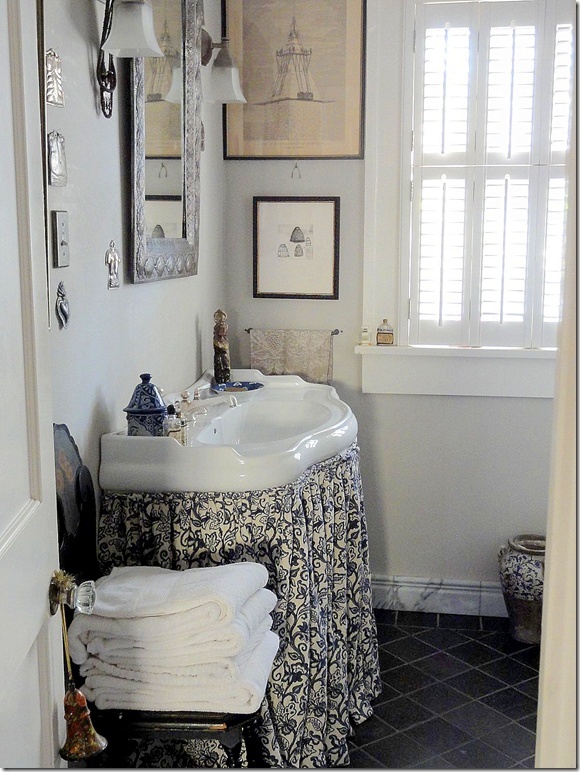 Custom designs also lets you infuse the bathroom with your personality and really dig into the style to make sure everything comes together nicely. 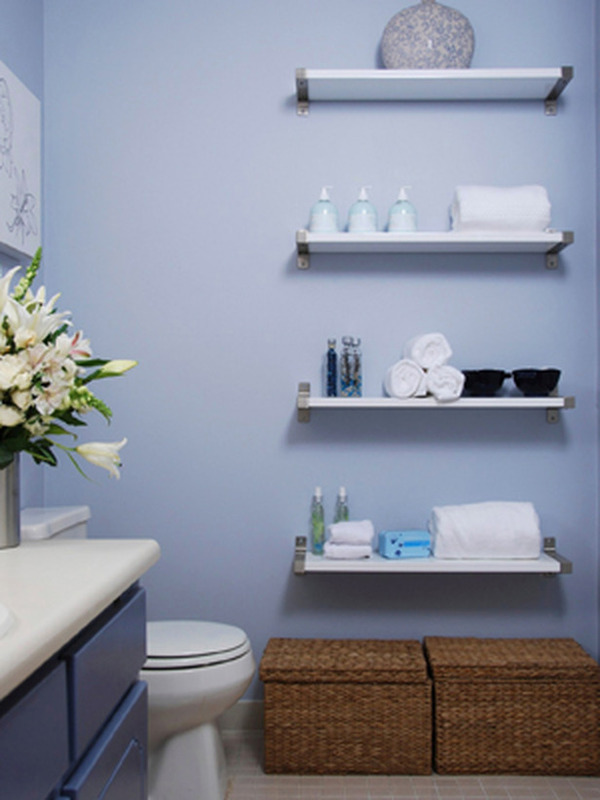 Bathroom storage can be incredibly tricky, particularly if you have a small bathroom. 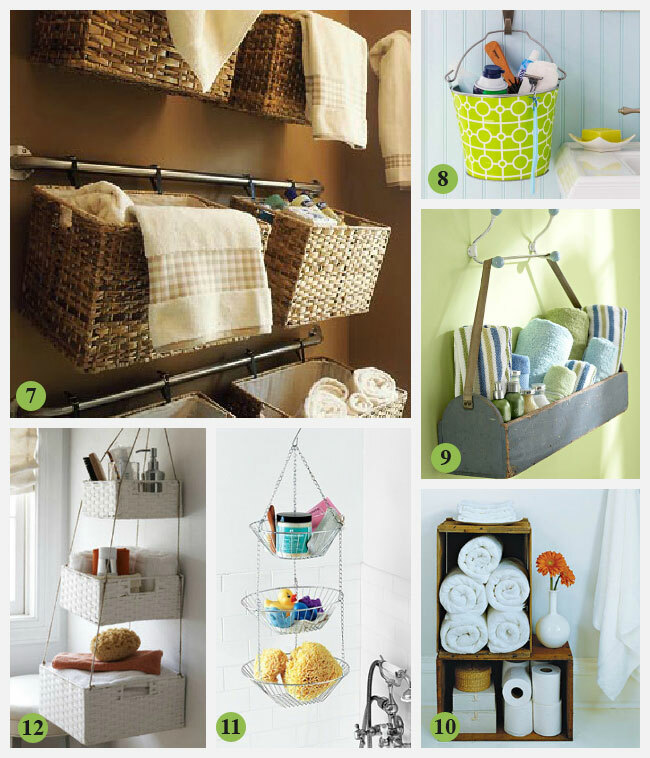 But by thinking outside the box, employing things like baskets and hanging shelves and being creative, you can maximize even the smallest space and have a stylish and beautiful bathroom, no matter its size and shape. Enjoy!